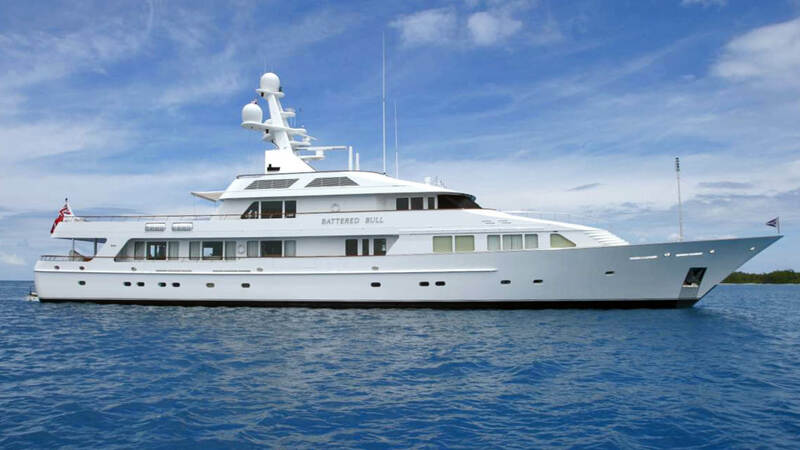 BATTERED BULL is a 52.12 metre motor yacht which was built and launched by the Dutch shipyard Feadship in 1995. She features naval architecture and exterior design by De Voogt Naval Architects as well as interior styling by Bruce Gregga. BATTERED BULL can sleep up to a maximum of fourteen guests in her luxurious seven stateroom layout which features a master stateroom as well as VIP and guest staterooms. She also fully accommodates for her crew in separate crew quarters to ensure a relaxed and luxurious time whenever on board. Moran Yacht & Ship negotiated the build contract for BATTERED BULL, wrote the technical specifications and managed the entire build process for the vessel. Our team was by the owner’s side from concept well through completion.